In Florida, the law allows for an office to arrest an individual for a DUI when the officer has probable cause to believe you are impaired by a controlled substance, such as a prescription medication or an illegal drug such as marijuana or cocaine. Therefore, prosecution for a DUI can be premised on impairment by not only alcohol but also drugs, or both. Nevertheless, a DUI and Medications Pinellas Lawyer can often be of great assistance in your defense. 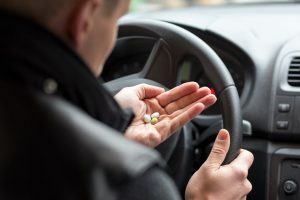 One common misconception that is widely believed by the public is that having a valid prescription for a medication from a doctor is a defense to Driving Under the Influence of that medication. This is simply not true. Having a prescription for a medication only allows you to own, use, or possess the medication. It does not give you the right to drive after you have consumed the medication, if taking the substance causes you to be impaired while driving. The most common technique used by law enforcement to investigate DUI offenses involving drugs or medication is urine testing. However, the use of urinalysis evidence in a DUI case is subject to many limitations and shortcomings. As experienced St. Petersburg / Clearwater DUI defense lawyers, we are extremely familiar with all of the legal and scientific issues associated with urine testing in DUI cases. Read our in-depth article on the defenses that may be available if your DUI involved drugs. What Should I Do if My DUI case Involves Drugs or Medication? The lawyers in our office have nearly 25 years of combined experience in handling these unique DUI cases. We have studied the scientific and evidentiary issues involved in drug and medication related DUI cases. We also understand the strengths and weaknesses that flow from the use of this evidence in court. We can evaluate all the facts and circumstances of your case, including whether law enforcement employed the services of a certified “drug recognition expert.” Such a review is critical to advising you on the best possible course of action, including whether your case may be a good candidate for reduction to reckless driving. Contact a Pinellas DUI and Medications Lawyer at our office to discuss the specifics of your individual case.